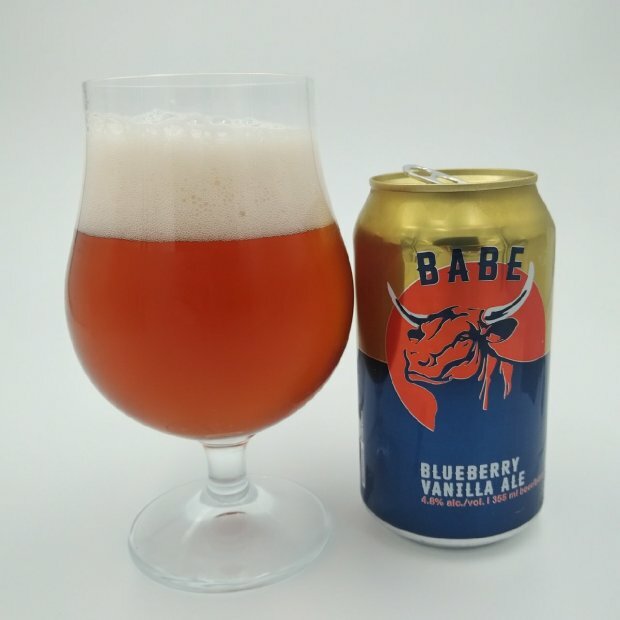 From Wood Buffalo Brewing Co in Fort McMurray Alberta comes their “Babe Blueberry Vanilla Ale”. The beer pours a reddish orange with a white head. The aroma consists of blueberry, vanilla, mild malts and a sweetness in the finish. The flavour is of blueberry, vanilla, bready malts, citrus, sweetness and some mild bitterness. the alcohol content comes in at 4.8% with an IBU of 14. I can see drinking many of these in the summer if you can find it! Commercial Description: A landmark beer for the new-century frontier. This is a drinkable golden ale with local blueberries and hints of vanilla, the perfect beer for a new generation of drinkers.